You'll find a common complaint throughout most of our Windows laptop / netbook reviews. Nope, it doesn't have to do with CPU performance, boot times, or graphics prowess; it revolves around touchpads, and notably those that have integrated buttons within the pad itself – what have come to be known as ClickPads. While we usually point fingers (oh yes, pun intended!) at the laptop manufacturers responsible for choosing the wonky pads (eh hem, HP and Dell), Synaptics – the maker of those ClickPads – is the one behind the technology. Aware of the finicky multitouch gestures and jumping cursors, Synaptics has been hard at work on its next generation ClickPad IS Series 3, which will be hitting laptops sometime early next year. So, will the new image sensing and ClickEQ technology that's been baked into the new pads finally solve all our complaints and let us put away the laptop mice? Hit the break to find out. We'll spare you the history of touchpads, but for now it is important to know that older ClickPads, like those found in laptops like the HP Envy, Lenovo IdeaPad S10-3 or Gateway ID series, use profile sensors. 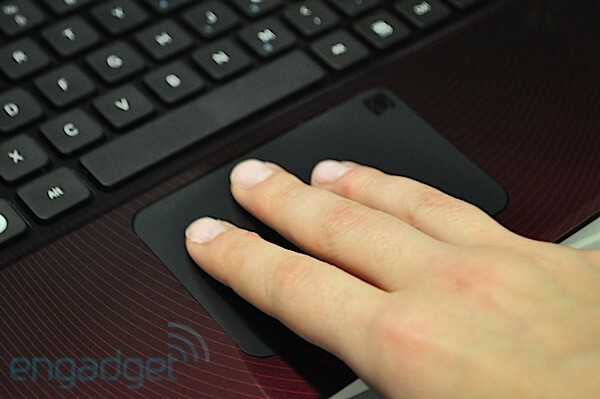 In contrast, the new ClickPad 1.5 and 3.0 series use a new capacitive sensor technology known as image sensing (IS), which independently tracks each finger on the pad. It's the same technology that's used in Synaptics phone / tablet screens as well as in Apple's touchpads. Synaptics actually claims that it can track up to eleven fingers – though, even if we did have that many fingers, you can't actually fit more than five on the pad itself. So, what does the new IS technology aim to solve? It should improve gesture detection and what Synaptics calls "accidental contact mitigation," a fancy term used to describe what happens when you mistakenly swipe the pad when you didn't mean to. The company claims that its SmartSense technology uses the image sensors to identify both the size and shape of the different contact points to determine what is actually happening on the touch surface. That means it should be intelligent enough to know when you are trying to move the cursor versus zoom in on something. That's the first part of the improvements, but in addition to bettering the touch experience, the pad now has what's called ClickEQ technology, which in essence means the pad is now one big button. The hinge in past ClickPads has been removed entirely so now the whole pad is pressable and you can right click anywhere to make selections. The mechanical design is said to provide a consisent click force and should reduce accidental clicking. In other words, the experience should be closer to using a traditional touchpad and easier on new users. Improved technology with fancy names is all well and good, but does it actually work? Synaptics sent us a Samsung R480 that it had retrofitted with its new ClickPad IS Series 3.0 to find out. Before we get into the experience we should mention that the panel is very clearly marked as a concept design and it very much feels that way – the plastic pad is a very wobbly and doesn't match the manufacturing quality of the rest of the system. However, it still gave us a good feel for the new pad, and right off the bat we could see a real difference. We didn't have to change our usual or "traditional" finger positioning, meaning we were able to keep our right thumb in the bottom left corner of the pad and use our index finger to navigate. (Even if our thumb moved slightly up on the pad it still worked.) Best of all, while using that finger positioning we rarely zoomed in on something by mistake. Yep, you can keep the multitouch gestures enabled since the pad is now smart enough to decipher between them and regular navigation strokes. 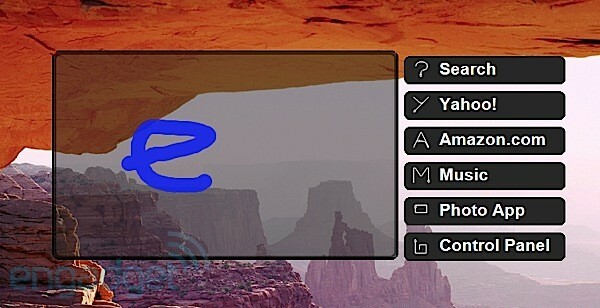 Speaking of those gestures, we found pinch-to-zoom and two-finger scrolling to be incredibly responsive. In fact, we'd say it was the most responsive we've ever seen those gestures on a Windows laptop. Scrolling was especially smooth, and in Firefox we didn't have to try multiple times to fluidly scroll down the length of this very website. Beyond those typical gestures, Synaptics has also configured the pad to support three- and four-finger swipes, much like the Apple pads. The gestures are all predefined, but the new settings menu, which also takes a page from Apple's playbook and places instructional videos alongside each gesture, makes it easier to understand how they work. Out of the box, swiping four fingers upwards brought up Windows Aero Flip 3D and then swiping a finger across let us toggle between the windows. Swiping four down brings you to the desktop. Three finger gestures control music and video playback, and swiping three fingers to the right or left in the browser doubles as your back and forward shortcuts. For the most part we had no issues with the pad and navigating the desktop; however, because the pad is closely located to the keyboard we mistakenly hit it while typing, which caused the cursor to jump around quite a bit. We guess that's what Synaptics means by "accidental contact mitigation." It's extremely frustrating, and even while writing this very post, we ended up typing words in the wrong place quite a few times. Turning down the sensitivity of the pad helped things a bit as did turning up the SmartSense settings to "Max," but that subsequently resulted in scrolling and other gestures not being as responsive. We also noticed the pad not being as responsive as others when navigating narrower menus -- we had to push it a bit more even with the sensitivity turned up. Ultimately, these are the remaining problem areas. Scrybe isn't really a new feature of the Series 3.0 ClickPads, but it's Synaptics own software that aims to get you doing more with that multitiouch pad of yours. Tapping three fingers on the pad brought up the interface above, which lets you simply sketch a letter or symbol on the pad as a shortcut. Naturally, we configured the "e" to launch "engadget.com" in a browser, but there's even more you can do with it. For instance, when you highlight a word, you can sketch a "?" in the box and it will automatically search for that aforementioned highlighted term on Google or your search engine of choice. For the most part it recognized our sketched shortcuts -- it turns the letter or symbol from red to blue when recognized -- and it's a pretty neat piece of software, but, to be honest, once you get over the novelty of it we're not sure it would work its way into your everyday routine. 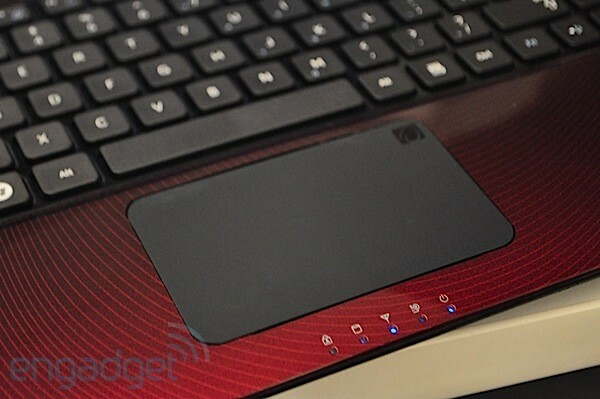 It sure does look like touchpad, er ClickPad hope is on the way! In all honesty, we didn't think it was possible to ever use one of these ClickPads and feel comfortable with the navigating experience, but the Series 3.0 with its new IS and ClickSmart technology doesn't require the patience and adaptation that previous versions demanded. It's still not as silky smooth as the Apple touchpad experience, but of course, this is all based on a concept model given to us by Synaptics itself. There's no telling what the final implementation will look like, but our hope is that the laptop manufacturers out there -- we're looking at you, HP, Lenovo, and Dell -- are working with Synaptics' Series 3 so we can finally retire that repetitive touchpad complaint.